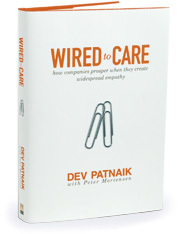 I just finished reading Wired to Care by Dev Patnaik and strongly encourage you to pick up a copy. The definition of empathy is to be able to project yourself into another’s position to better understand and share in their emotions, thoughts or feelings. Work-life balance is critical to healthy human beings and I’ve always believed in the golden rule. The challenge is to practice this when life is throwing curve balls. Success can take on a life of its own but the secret is to remain grounded in your core beliefs. If we could all live a little softer and a little gentler the world would be a better place. You have a new opportunity every day to make that difference; grab hold and don’t let go. This entry was posted in Communication, Professional Development and tagged work-life balance. Bookmark the permalink. I haven’t read the book, but I certainly accept with your definition of “empathy.” You don’t need to agree with a person to understand what drives them and where they might be coming from, and the ability to put yourself in their brain for a bit can only make you more enlightened and compassionate. From a business standpoint, if I can empathize with a stakeholder/employee/customer, I am more likely to obtain the win-win situations that will give me the results I need, and those results are more likely to provide long-term benefit. I’m interested in how you personally apply the concept of empathy to work-life balance, the golden rule, and dealing with Life’s curve balls. I’m also interested in how (or if) it’s what enables you to balance balance the “Nice Guy” Tom Raffio with the “Serious Business Guy” Tom Raffio. I could do a better job at work-life balance as I’m at the office much too much (as in right now, almost 9 pm on a Wednesday), but the one insight I can give you is to be “present” when you are present. As John Lennon once said, life is what happens when you are busy making other plans. So, when I’m home, I listen to my kids and my spouse, and try to be helpful, using the engagement/empathy skills that I’ve learned from work. The best advice I ever got was, take your best skills that you do so well at work, and apply them at home; be your best self at home. On your serious/nice question, you can be nice and still make the difficult decisions; people realize that we have to make sound business decisions to thrive in the long run. I owe you two other follow up comments: I agree that Deming was right on. And, in studyiing the Heskett article (“Why Are Fewer and Fewer U.S. Employees Satisfied with their Jobs”), all I can say is that Northeast Delta Dental’s most recent strategic alignment (aka employee climate) survey is the highest (positive) ever since we’ve been doing this (2000), and it all relates to the famous Terkel quote ”work is about a daily search for meaning” — all Northeast Delta Dental employees are treated with respect, contribute to corporate strategies and product development, and understand that our mission (oral health) is very important to society so we want to be the best we can be. This is a satisfying equation. Thank you for all of your insights and paths you take me down. 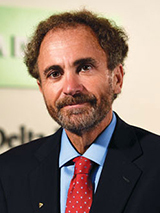 Tom R.